It is hard to get a clear picture of crop conditions in Zimbabwe after Cyclone Idai. But reports from a number of media outlets who have people on the ground paint a concerning picture. This afternoon, Al Jazeera came out with a headline — Cyclone Idai destroys Zimbabwe farms, deepening food crisis — telling readers that the damage caused by the cyclone could lead to Zimbabwe importing 900 000 tonnes of maize in 2019/20 in order to fulfil its domestic needs. In addition, the United States Agency for International Development also released a note with a headline – Effects of Cyclone Idai negatively affect livelihoods decreasing food access in parts of Zimbabwe. This echoed the same message as the Al Jazeera story, although not specifying the volume of possible maize imports for the year. Also today, NewsDay, a Zimbabwean newspaper, citing the country’s Lands and Agriculture ministry permanent secretary, Ringson Chitsiko, indicated that current stocks of maize and small grains at the Zimbabwe Grain Marketing Board stand at 832 156 tonnes, and at the current monthly drawdown rate of 120 000 tonnes, the available grain is sufficient to last about seven months. This sounded a bit ambitious compared to what we have been gathering over the past few month. Nonetheless, the same article noted the prevalence of food insecurity in some parts of Zimbabwe, which could increase following the cyclone. 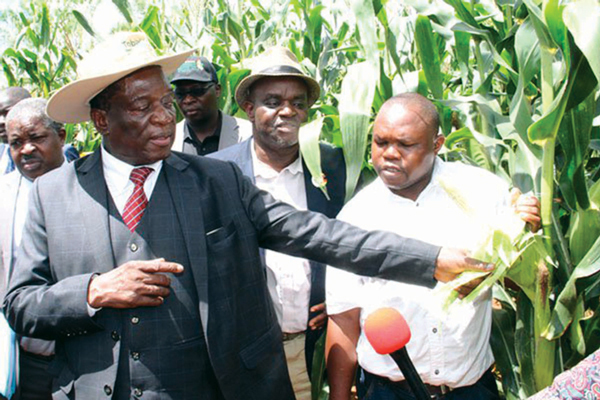 To recap — before the cyclone, Bulawayo24, a Zimbabwean newspaper, citing Zimbabwe Commercial Farmers Union, indicated that Zimbabwe’s maize production could amount to 900 000 tonnes in 2018/19 production season. This is well below the International Grains Council estimate of 1.2 million tonnes. Now, given that Zimbabwe’s maize carryover stock of roughly 458 000 tonnes from the 2018/19 marketing year might not be sufficient to boost its maize supplies in the 2019/20 marketing year, the country could remain a net importer of maize (2019/20 marketing year corresponds with 2018/19 production season). If we account for the fact that Zimbabwe’s maize consumption typically varies between 1.8 million and 2.0 million tonnes, then maize imports for the 2019/20 marketing year were most likely going to amount to 700 000 tonnes. But this was before the crop damage by the cyclone that occurred this month. At this point, I have no idea how much maize Zimbabwe will need, but the 900 000 tonnes cited by Al Jazeera is starting to look believable.